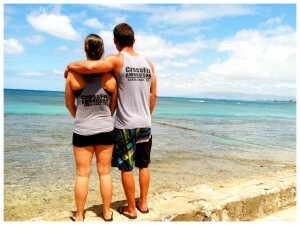 If you have a great photo you'd like to submit to be considered for possible use on the site, Submit A Photo! 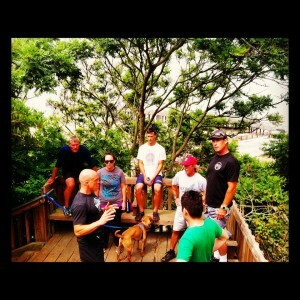 This WOD is tough! 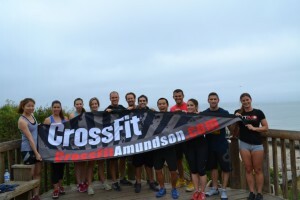 On 120401, Greg Amundson teamed up with Chris Michelmore and CrossFit Moxie in San Jose, CA., to complete this WOD for a CrossFit workout demonstration. 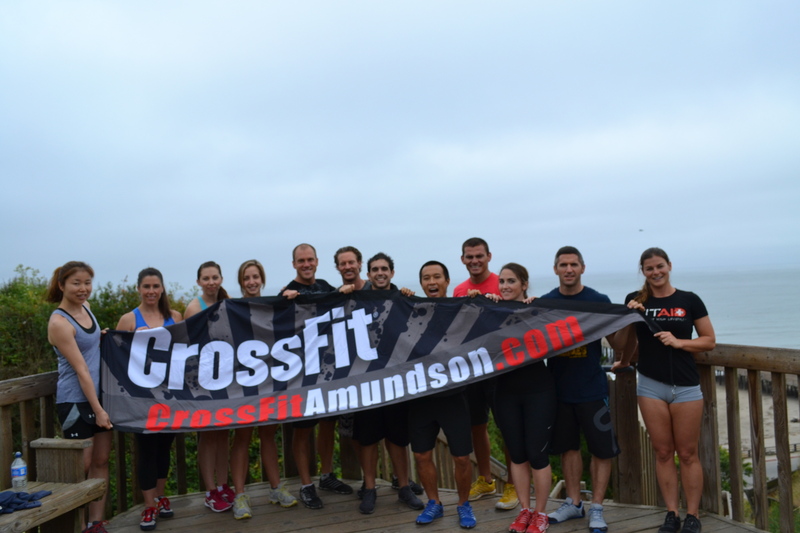 This is one of the most physically and mentally challenging WOD’s that Greg had ever completed. 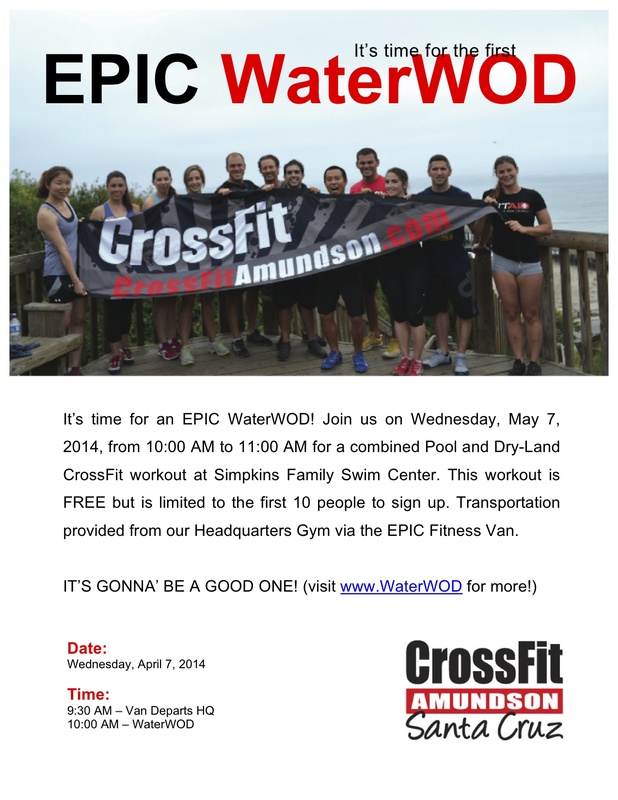 Make sure you have a “safety” during this WOD for the underwater swims. 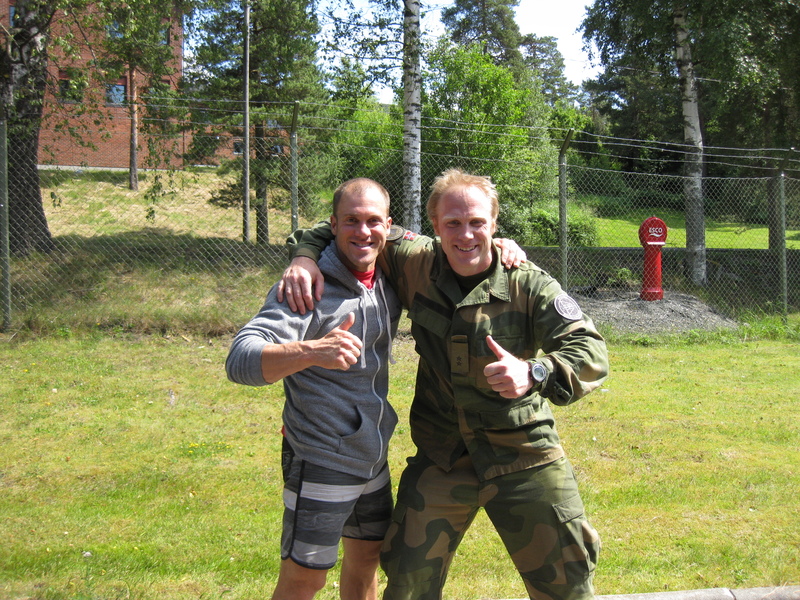 Greg Amundson with Peter, Commander of Norway’s Force Protection Unit. 1. What is your body language saying during the day? 2. How can you best ensure your personal phychology is communitaning a message to your mind of courage, strength and personal belief? 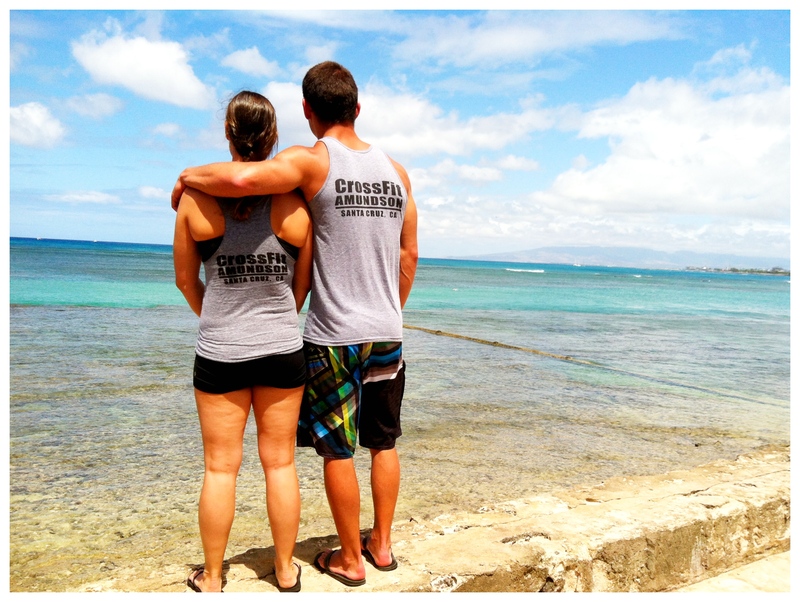 Today we are going to put a swimming twist on a classic CrossFit workout. 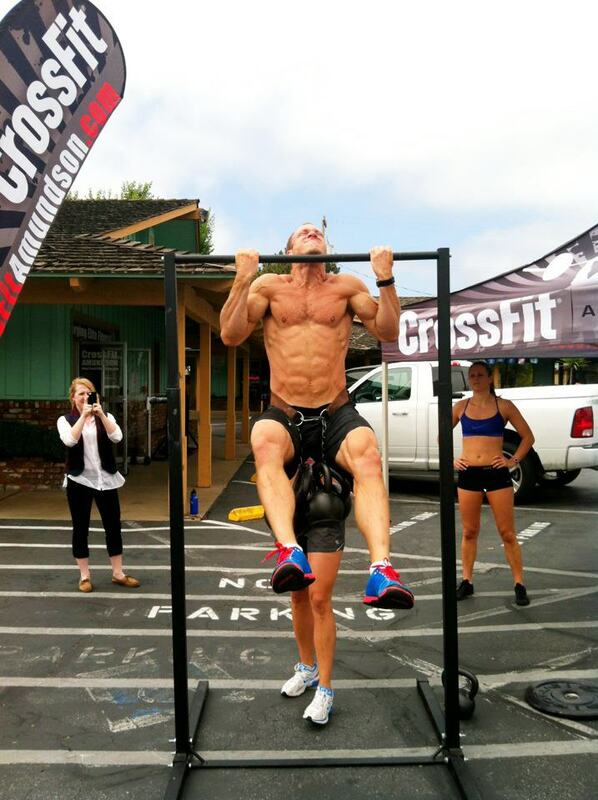 25 x Dumbbell push-press 25lb. Freestyle swim continually for fifteen minutes. 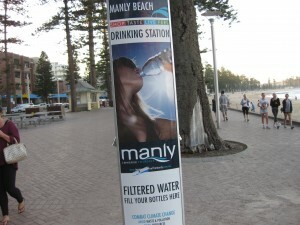 Make this active recovery. Practice a long and smooth glide through the water. If you know how to complete a flip-turn, do it. If not, learn! 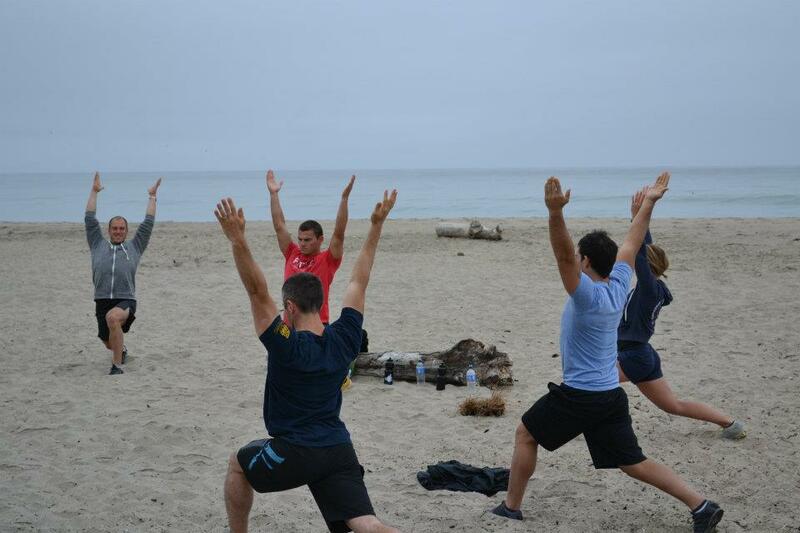 Yoga before the WaterWOD on Seacliff State Beach, Aptos, CA. 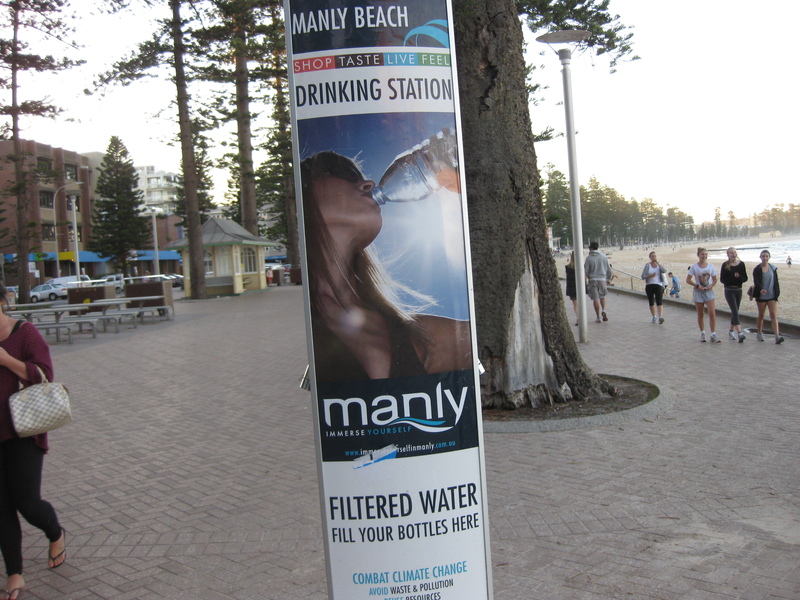 We love Manly Beach, Australia. 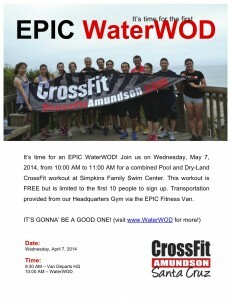 This week on the WaterWOD we are going to do a traditional swimming workout with a bit of a twist.